Start your scuba dive education and training at the beginner level with the PADI Open Water Diver course and become associated with a world wide system of scuba diving, allowing you to travel to and explore some of the most incredible dive sites around the world! Start a unique hobby, spark a new passion and meet fun people who share your awe and excitement about the underwater environment! The PADI Open Water Diver course is the world’s most popular beginner scuba training course, and has introduced millions of people of all ages to the adventurous diving lifestyle. 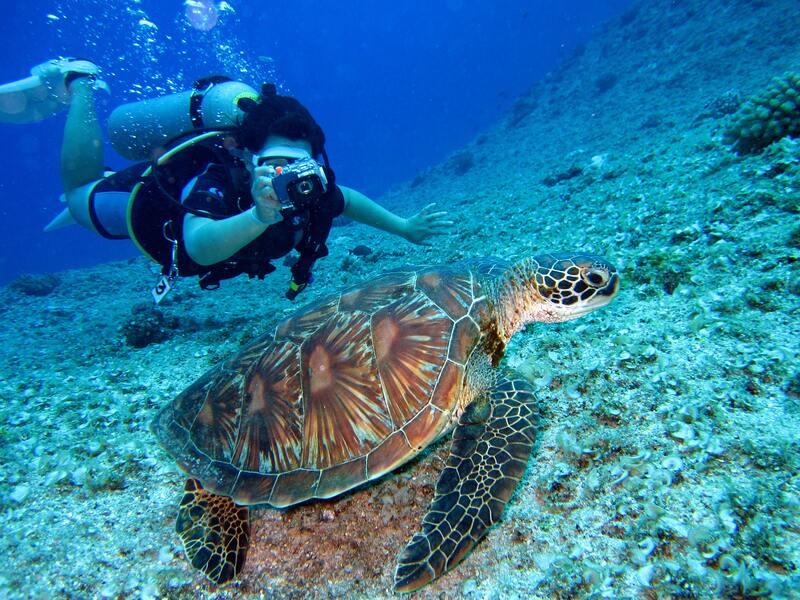 Utila is one of the most popular places in the world to become a certified scuba diver and it is no wonder! The Mesoamerican reef system which surrounds this verdant tropical island will render you awe-struck with its beauty and make crave your next dive! Knowledge development which teaches you all the theory to maximise your enjoyment and progress as a diver. Confined water skills are some of the basic skills we’ll teach you in shallow sheltered water so that you can get used to the equipment and start to have fun. Open water dives are where you bring the theory and confined water skills together. You’ll complete 4 dives to a maximum depth of 18 m in the crystal warm Caribbean seas surrounded by exotic and exiting marine life. Challenging” and “rewarding” best describe the PADI Rescue Diver course. Building upon what you’ve already learned, this course expands on what you already know about how to prevent problems, and how to manage them if they occur. When you enter a Rescue Diver course, the instructional staff understands that you will be working towards becoming a highly qualified diver. The fun part about this course is rising to challenges and mastering them. Most divers find this course both demanding and rewarding, and at the end, say it’s the best course they’ve ever taken. The course itself is done over three days where we will teach you ten rescue exercises before moving onto some really fun Scenarios. The Rescue Diver training will prepare you to prevent problems and, if necessary, manage dive emergencies. Once you have completed these exercises we will give you two Rescue scenarios to deal with in a real life setting. Practice makes perfect and we will be giving you lots of that. Upon successful completion of the Rescue Diver course, you will receive the PADI Rescue Diver certification. Get the momentum with our inspirational and adventurous experiences to transform your lifestyle. Whether you have just finished education, taking a break from your career, retiring or just fancy the experience of a lifetime, we have the expertise to open that door.